Adams Media Corporation, 9781440504037, 293pp. Have you ever wished you could enjoy an Italian dinner with Frances Mayes? Or swap recipes with Jacquelyn Mitchard? 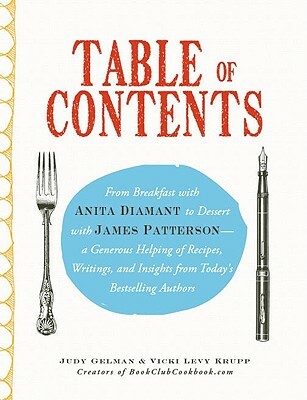 It's all possible in this unique cookbook that features recipes drawn from the works of today's bestselling authors, along with intimate insights that help bring their most beloved books to life. Judy Gelman and Vicki Levy Krupp are cooks, book enthusiasts, and friends who together created BookClubCookbook.com, a website designed to bring together authors and book clubs. The authors have been featured in the "Washington Post," the "Boston Globe," the "Philadelphia Inquirer," "Self" magazine, "USA Today," and "Real Simple." They are the authors of "The Book Club Cookbook" and "The Kids' Book Club Book/I>.